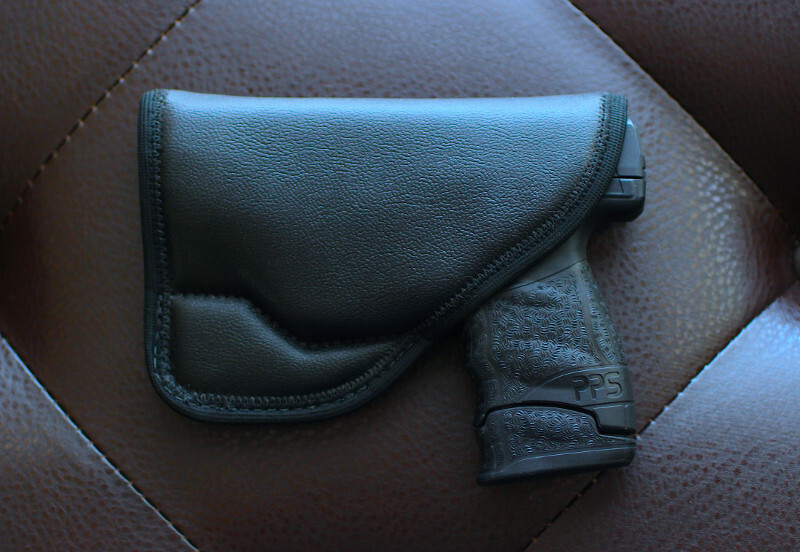 The Comfort Cling is an amazing Springfield XDE 3.8 clipless holster for concealed carry. 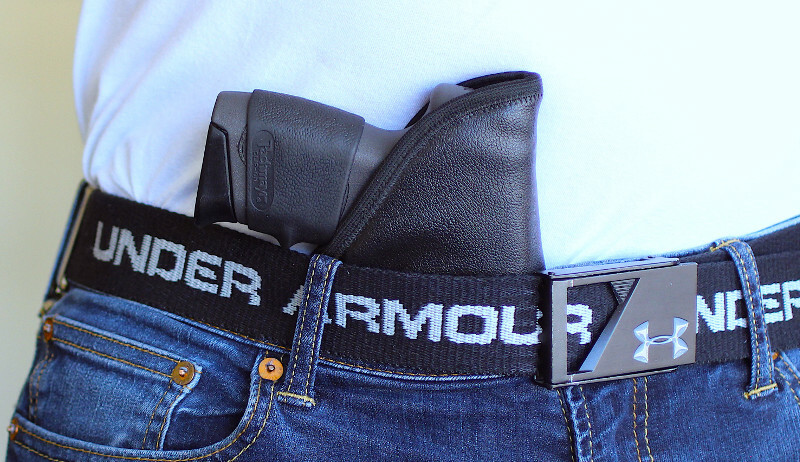 It allows you to conceal your XDE 3.8 without the hassle of mounting belt clips onto your belt. 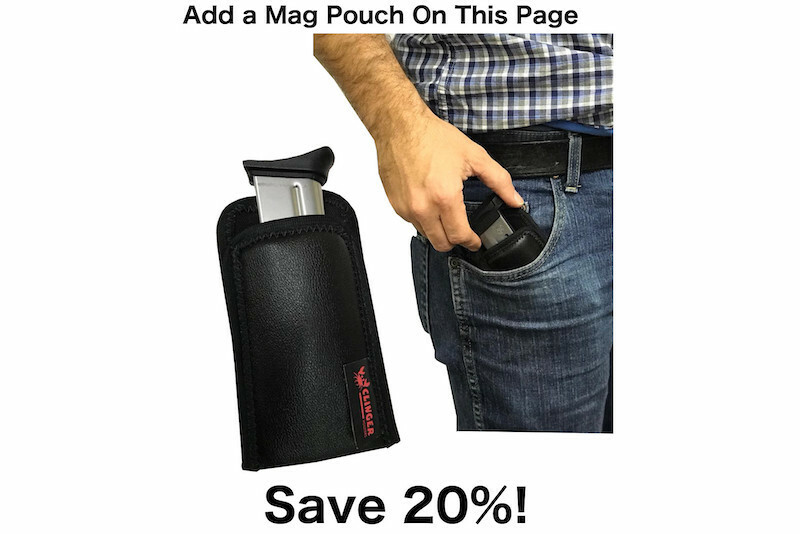 It uses friction to keep your handgun secure. 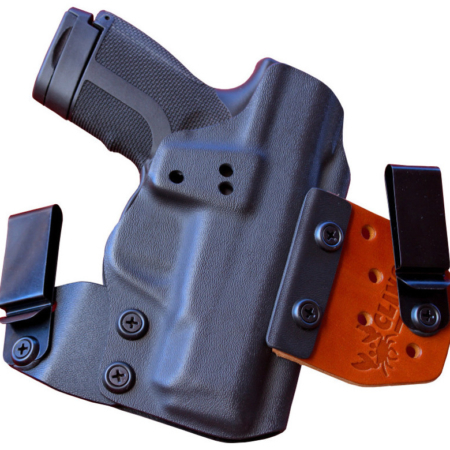 The outer layer of this concealment holster is a high friction material that’s very grippy. 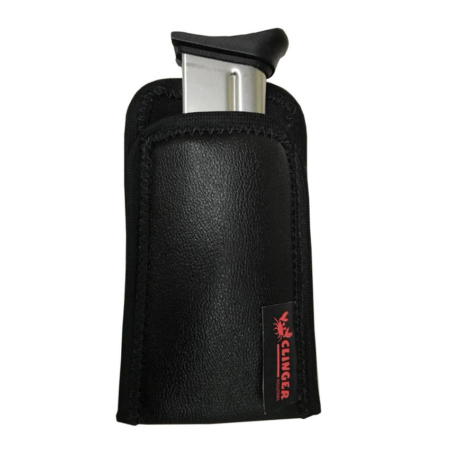 The inner layer is a low friction ballistic nylon that allows a smooth draw. Plus the ballistic nylon is very tough and is designed to last for many years of use. 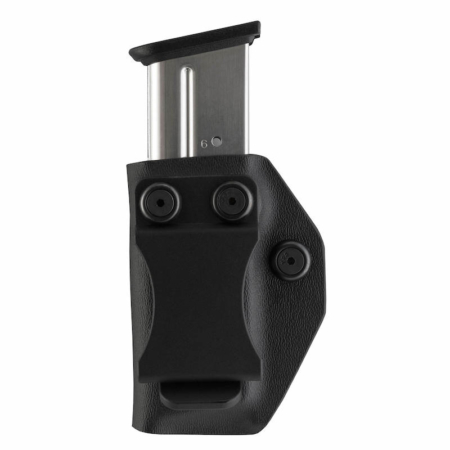 The secret to comfort in our Springfield XDE 3.8 clipless holster is the middle layer. It’s made of a gel-like foam. The foam is so luxurious feeling that it makes the sharp edges of your pistol practically disappear. All three layers are held together with a very tough binding. This tough binding is pinned down with a zig-zag stitch. Other Springfield XDE 3.8 clipless holsters almost always use a straight stitch on their binding. The problem with a straight stitch is that it creates a seam that can catch your pistol’s rear sight. 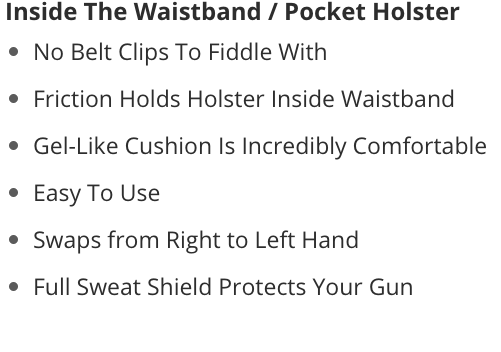 Because Clinger Holsters uses a zig-zag stitch that completely pins down the binding, you don’t have to worry about a seam that will catch your gun. 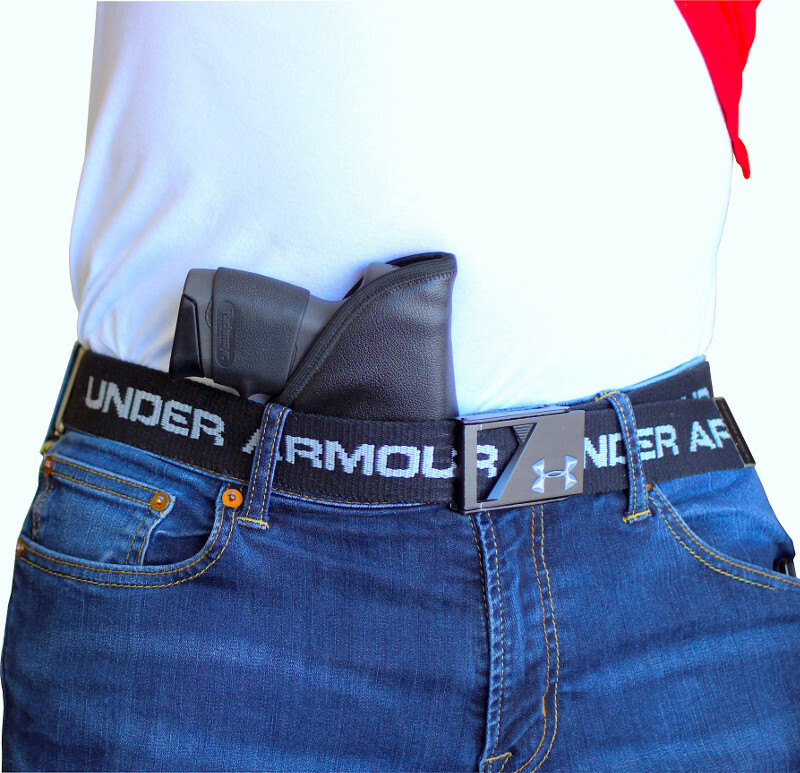 You’ll have nothing but smooth draws from the Comfort Cling holster. 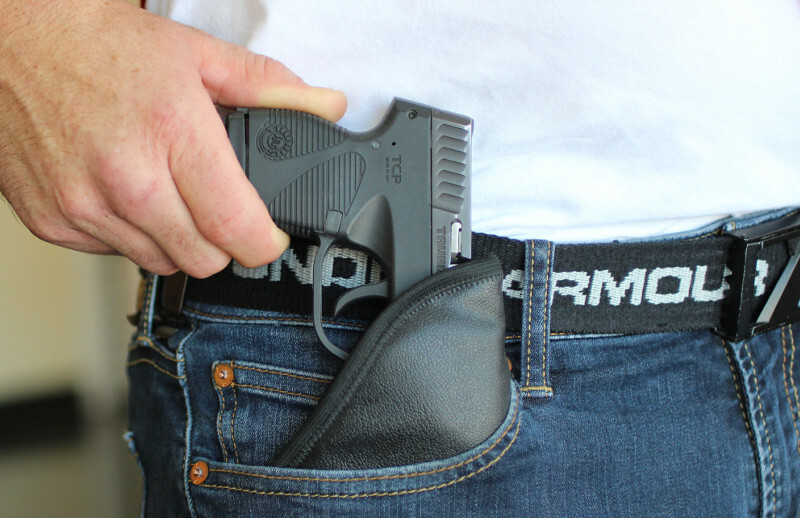 While the Comfort Cling is quite different from traditional Springfield XDE 3.8 holsters, it will still hold your pistol securely all day long. 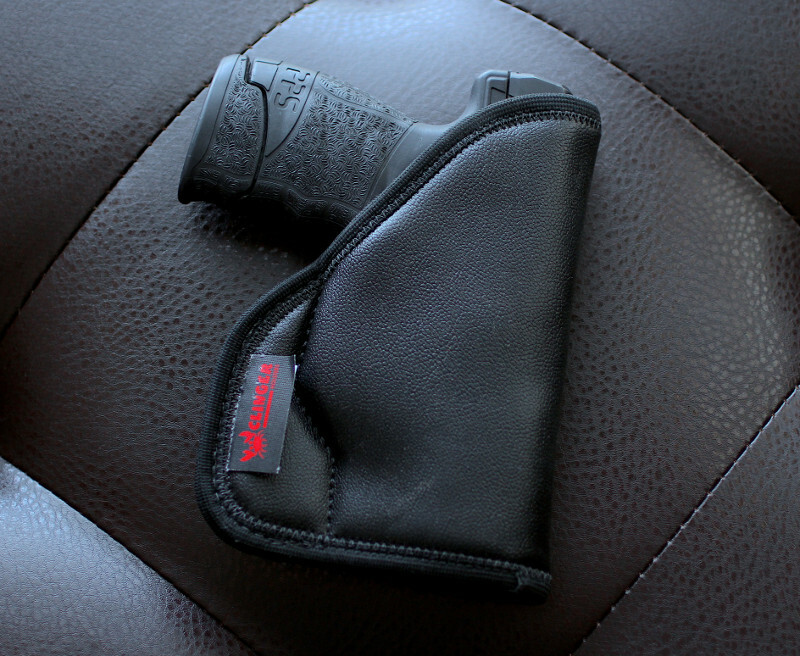 The high level of comfort makes this an easy holster to live with on a daily basis. 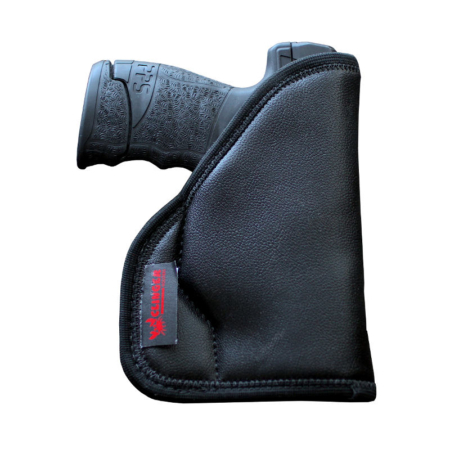 The Comfort Cling is just as small as the other products in the Clinger Holsters lineup too. We believe in making holsters as small as possible. You can wear your XDE 3.8 anywhere in your waistband you wish with the Comfort Cling because it’s completely ambidextrous. It works equally well for left or right handed shooters. Plus, you can easily adjust the cant angle or ride height by adjusting the Comfort Cling to the desired angle and height before tightening your belt down. Many clipless holsters have a hard time lasting longer than a year. You won’t have that problem with the Comfort Cling. It’s designed to last for years of use. 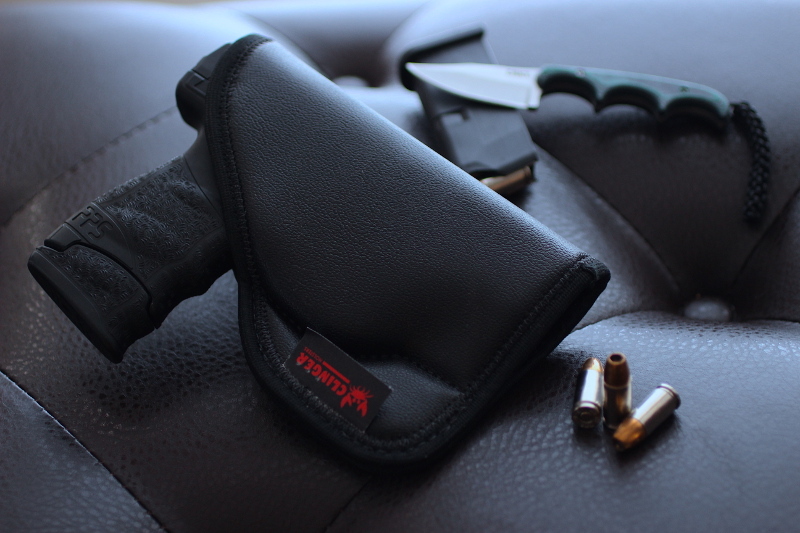 This is a very durable holster. 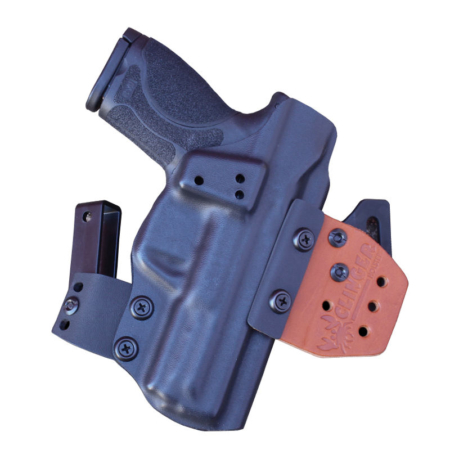 This Springfield XDE 3.8 clipless holster is an American made product. We make all of our concealed carry products with skilled American workers. We offer a Two Week Buy Back Guarantee on this quality product. That’s how sure we are that you’ll absolutely love it.